The Frenchman has been in exceptional form for Manchester United, but the German midfielder is confident his side can keep him quiet. Paris Saint-Germain have players capable of stopping Paul Pogba in Tuesday’s Champions League clash, Julian Draxler insists. The Ligue 1 leaders head to Old Trafford for the first leg of their last-16 tie against a United team who have shown resurgent form under caretaker manager Ole Gunnar Solskjaer. Saturday’s 3-0 defeat of Fulham was their 10th win in 11 games in all competitions since Solskjaer took over from Jose Mourinho in December. 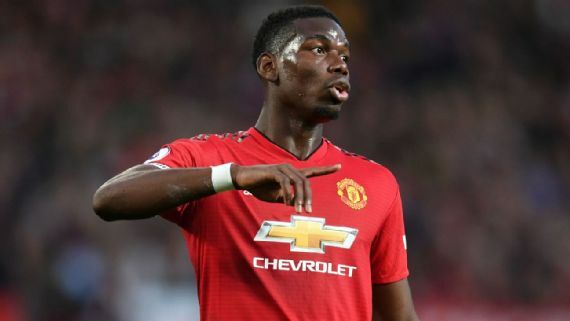 Pogba has been instrumental in their improved run, his two goals against Fulham taking his tally to 11 in the Premier League this term, a personal best in a single season in top-flight football. Draxler, though, is confident his team-mates can keep Pogba quiet, telling a news conference: “They have got some great players at Man United, especially in midfield, with Pogba and [Nemanja] Matic. They will be key in the game.